Thick chunks of bread dipped into a simmering pot of cheese fondue with a glass of wine in hand. Isn’t that what life is all about? 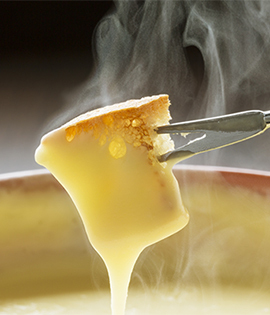 Alexis Murti from Curious Cook will teach you how to slice and melt your way to a pot of traditional Swiss cheese fondue. Armed with recipes and your new culinary prowess, you’ll be a hit at the next winter shindig. $10 (cash please) to cover all other ingredients and materials which will be provided in the workshop.